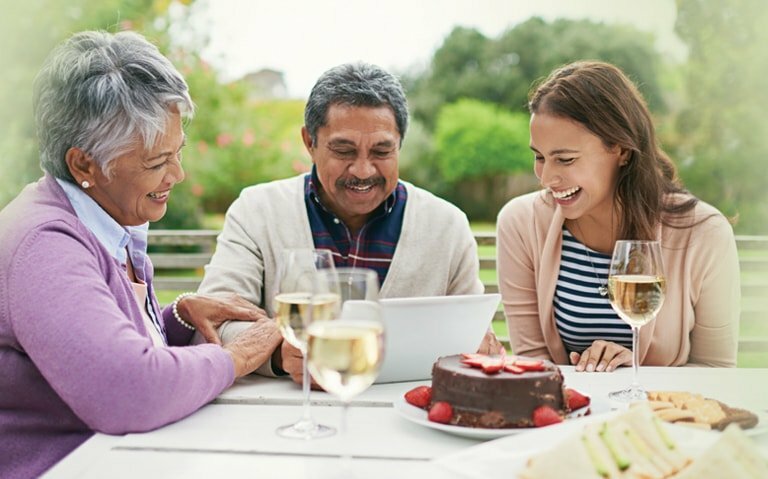 Evoz uses end to end encryption and locks down unnecessary programs to keep your family’s privacy secure. 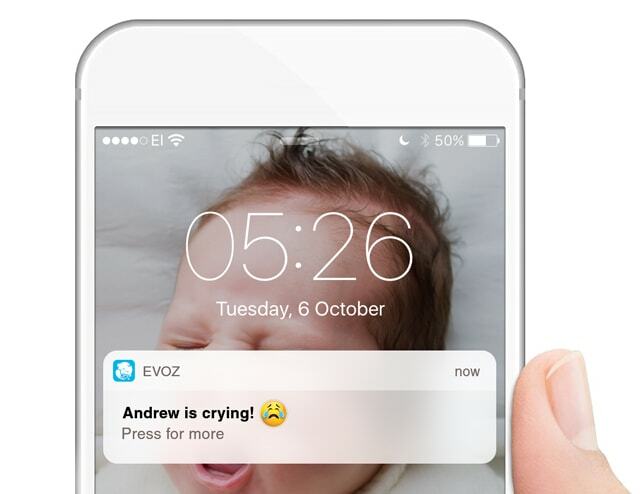 Evoz is a Wifi baby monitor you can trust. Evoz is smart. It knows the difference between sounds in the nursery like singing versus your baby crying. No need to constantly stream the audio or video monitor when you’re outside of your baby’s room. We’ll send you a text message when your baby cries. 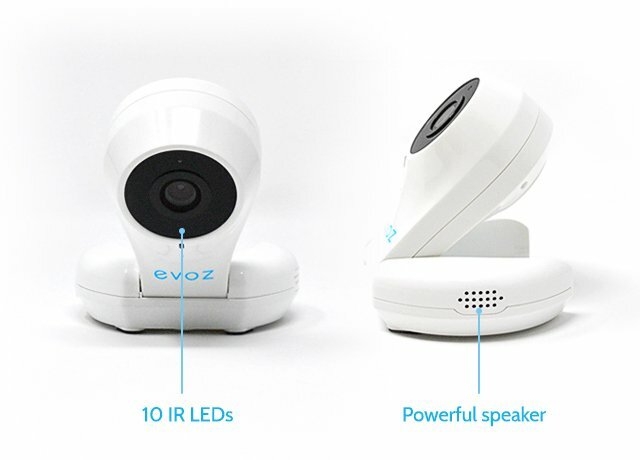 Evoz wireless video baby monitor helps you track your baby’s sleep. No need to keep a sleep log by hand. Right within the app, you can automatically view when your child wakes. 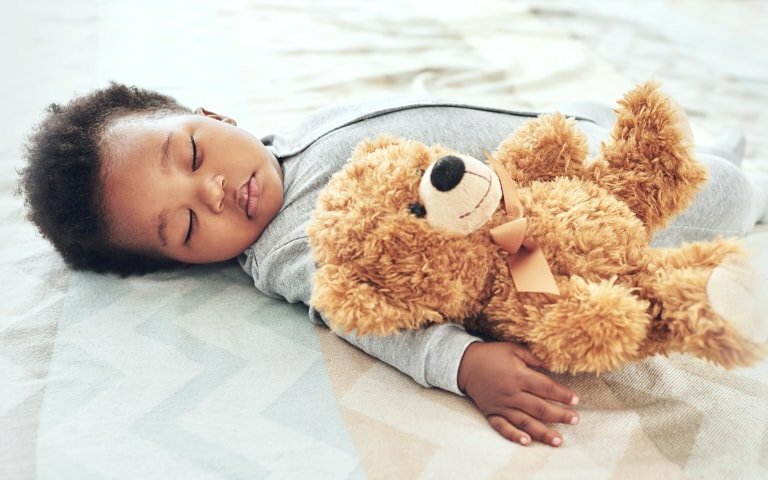 Easily share this data with your pediatrician or sleep coach. The monitor automatically collects crying and room data and can be supplemented with feeding, changing, sleeping, milestones and temperature data parents collect in one, easy to navigate and shared repository. Export feature enables sharing data with coaches and doctors in both graphical & raw data format. 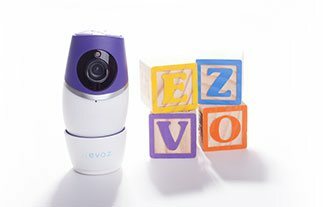 Whether you want to check in on your little one from work, during an evening out, or while you’re hanging out in the backyard, with Evoz you can easily see your baby simply and conveniently on your smartphone. Evoz supports iOS and Android devices. 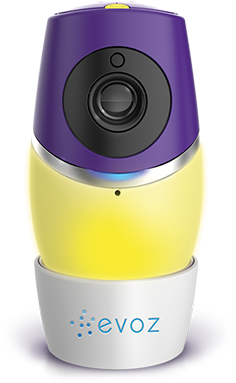 With 10 infrared LEDs for night vision, modular magnetic base, and an HD, wide angle camera every view and sound of your baby is sharp and clear, day or night. 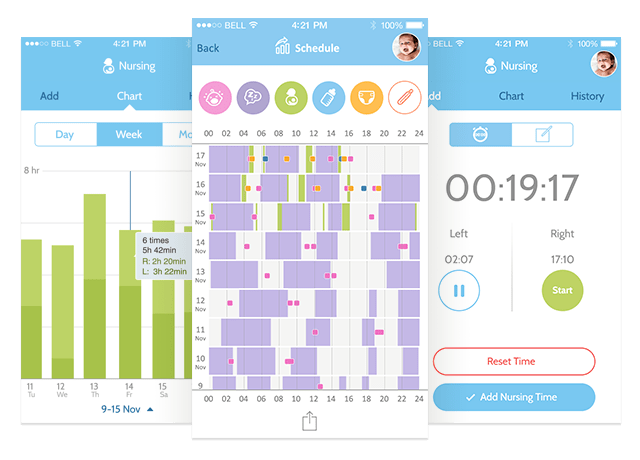 Evoz is the only parenting app and baby monitor that includes gentle sleep and parenting content from Kim West LCSW-C, The Sleep Lady®. Articles and videos are available at your finger tips, catalogued by your child’s age.